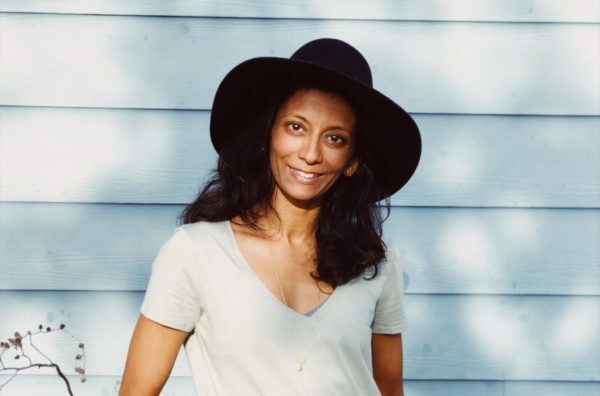 Ayurveda 101: What's a dosha? 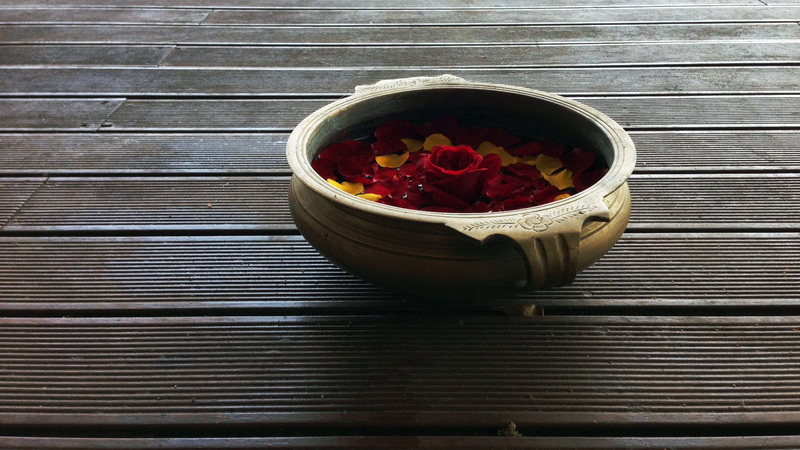 You are here: Home / Blog / Ayurveda / What’s my Dosha? 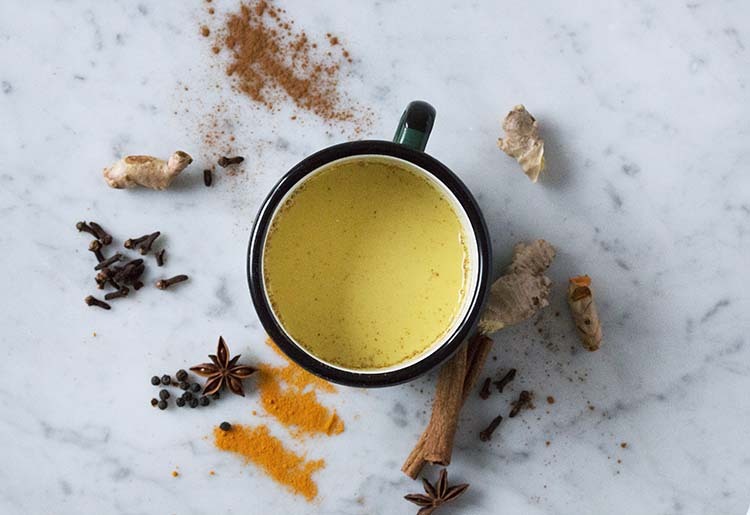 Translated as the Science of Life, Ayurveda is an ancient system of healing from India which believes that our wellbeing is related to the balance between the body, mind and spirit; as well as our relationship to our external environment. To “get” this, muse upon Ayurveda’s big bang theory: that divinity manifests itself as five great elements: earth, fire, water, air and ether or space, which form the basis of all material creation, from the tastes of food, to the changing seasons, to our unique individual constitution. How exactly do the elements impact us? The elements combine together to form vital bio energies known as the Doshas, of which there are three. Vata, Pitta and Kapha. 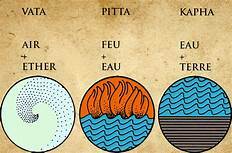 Vata is a combination of air and space; Pitta: fire and water; and Kapha: water and earth. Says Ayurveda: we are born with our own unique balance of the doshas, known as our Prakriti, or constitutional blueprint and it is our prakriti that informs our specific physical, emotional and mental characteristics. I love this image of the doshas. Will post the source as soon as I have it!!! Doshas sound complex, but you will be surprised to note that not only do we understand these concepts in our life, we even use them colloquially. For example, consider someone you know who you think of as rather “airy.” Describe them. Are they quick moving, or slow? Are they steadfast or do they change their opinions often? Are they wispy or large framed? Chances are, they are quick to walk and talk, changeable and often hard to pin down for a date. They are also probably thinner vs. larger. “Ayurvedically,” you are describing someone with a lot of the air element in their constitution, which would imply a prominence of the Vata dosha. Similarly, could you describe someone you know as “fiery?” Substitute passionate or confident, determined, ambitious and athletic here. Chances are, this individual has a lot of fire in their constitution – or a lot of Pitta, your typical type A personality. Lastly, we have Kapha. Kapha is the dosha containing heavier elements, i.e. water and earth. Can you think of someone you know who is “earthy” or grounded? Are they dependable, or flighty? Are they bigger boned, or wispy? Chances are they are dependable and larger boned. They probably give the best hugs and you can count on them to pick you up at the airport when you show up unannounced. Each one of us has characteristics of all three doshas, yet some predominate, while others are secondary and even tertiary. Why should we want to balance our doshas? Balancing our doshas is key to maintaining health as well as healing illness. Why? So that we can harness the qualities the doshas offer us in a positive manner yet are not overrun by our doshas. So we can live more in FLOW with life. Here’s a short description of how we feel when the doshas are balanced vs. not. How I feel when I am more in flow with life. Vata in balance is wonderful. It gives us creativity, quickness, alertness, sensitivity to new ideas and the ability to develop non-attachment to material things. Many artists have much vata in them. We also seek this quality in spiritual life. However, when we are overrun by vata, we can become unfocused, unable to complete tasks, overwhelmed, anxious and worried and our digestion suffers. Pitta in balance allows us the ability to channel our creativity out in the world as concrete plans. When out of balance, we can get burnt out, literally feeling adrenal fatigue. We tend towards irritability, anger and frustration and can suffer from ulcers and gastric reflux. Kapha, the most stable of the three doshas when in balance offers us calm, patience and the ability to follow things through to their end point. When we have too much Kapha, however, we can become too rigid. We also begin to lose our fire and become depressed, feeling lethargic and gaining weight. Want to know more about how to balance your doshas? Read Part 2 of this post! 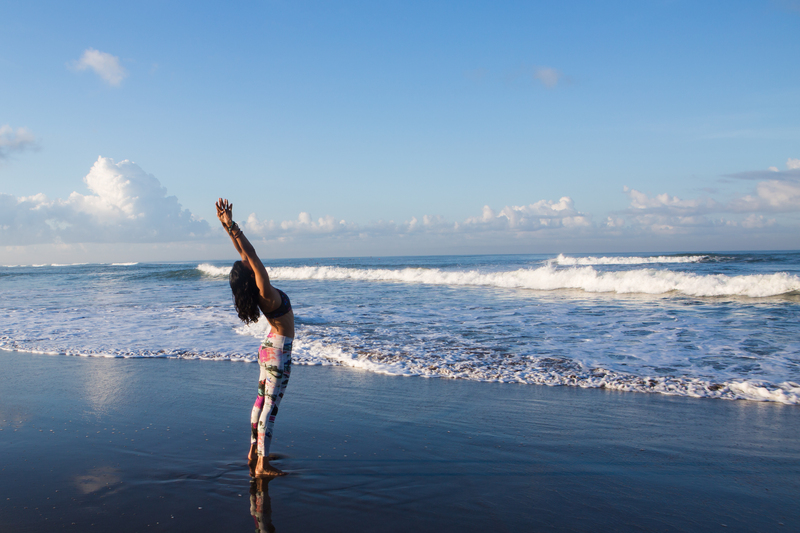 Meanwhile, Bali friends, you can join me this week at the amazing Bali Spirit Festival in Ubud for some nuggets of Ayurvedic wisdom; and if you want more, come study with me, this July on Vancouver Island for an incredible Ayurvedic Immersion for yogis that I am leading as part of the Blissology 500 hr YTT. Have an amazing day! Namaste + peace. What a great post very easy to understand and so interesting. I am still really trying to figure out which one I am… I can’t wait to learn more. Michelle, sign up for the newsletter on this site. I will send out a dosha questionnaire link next month, for the first yogue newsletter! So glad you enjoyed the post! Thank you Insiyia. I very thought provoking post and something I am keen to learn more about. Look forward to the dosha questionnaire next month.